Selma was a film of vast importance, delivering a message we can’t afford to ignore, telling a story of the greatest significance. It also happened to be a well-made film, from the direction to the acting, a solid all-around movie from so many artistic angles. That it received very little awards recognition was a bit of a slap in the face, and prompted the Oscars So White backlash, which was much deserved. My critics organization named Selma as the Best Feature of its year, I’m proud to say, so some of us saw both its historic worth and its cinematic mettle. I’m afraid that Hidden Figures, when it fails to receive many awards, will raise a similar cry, but, this time, I don’t think such outrage will be warranted. I think that this film will miss out on the recognition that its base story deserves not because Academy Awards voters are racist (which is a conversation for a different time), but because it simply isn’t a very good movie. 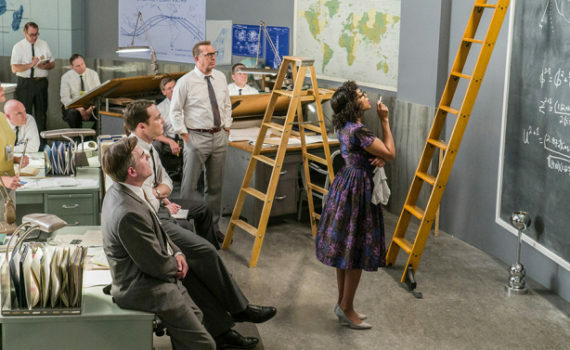 Based on a true story, Hidden Figures is a look back at not only the United States’ race to beat the Russians into space, around the Earth, and onto the moon, but also at the people who made history happen. More specifically, the black women who worked behind the scenes, who were treated as a separate species, and without who John Glenn doesn’t become the first American to orbit our planet. This is their story, highlighting three women who would pave the way for so many others: Katherine Goble, a whiz with numbers, someone who could think her way around a problem by inventing solutions that had never been seen, Dorothy Vaughan, a supervisor without the paycheck, a computer expert who could work magic with an IBM, and Mary Jackson, an engineer, but one who had to fight for her place at the table. These women laid the foundation for the U.S. space program, and it’s about time they were recognized. Let’s get a few things straight before we proceed. First, I do think that the Academy tends to focus on white male-directed and -led films, especially those by established names that follow the established recipes. That’s a problem, one that will take forever to fix, but hopefully something that’s manageable as more & more women and minorities break through the barriers that Hollywood has always erected. Secondly, I think this film should be applauded for forcing us to understand that our country’s history wasn’t written by the Anglo-Saxon majority, that others’ stories have been swept aside. So, anyone who wants to challenge Hollywood and the Academy, anyone who wants to raise up women like this, I’m right there with you. I will just have to call you wrong if you insist that this film is actually good, that its quality matches its message, or that it deserves to be ranked with the best of a very strong year. A minor problem that I had with the movie was the way in which it oversimplified the situation. You can’t bring historical figures to life accurately and also make them into metaphors, it just doesn’t work that way. 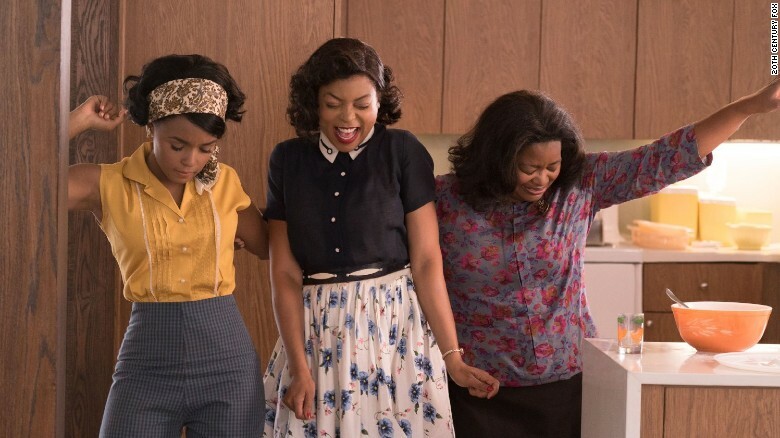 These three women had a huge impact on those who followed, but they didn’t beat racism in a day, they didn’t change the landscape of NASA overnight, and I just assume that not everyone on the team magically learned a valuable lesson in the end. That’s easy, that’s cheesy, and I wish it hadn’t found soil in this film. I also wish that the casting department had tried harder to get actual actors, not a few TV celebrities, a singer, and a washed up Kevin Costner. Jim Parsons was terrible, Kirsten Dunst was a joke, Henson & Monae simply aren’t talented enough, and Octavia Spencer could not possibly be expected to carry this film on her shoulders. Its cast and its sap were major problems, errors I couldn’t ignore, even while I was more than happy to watch this story unfold and to be educated at the same time. 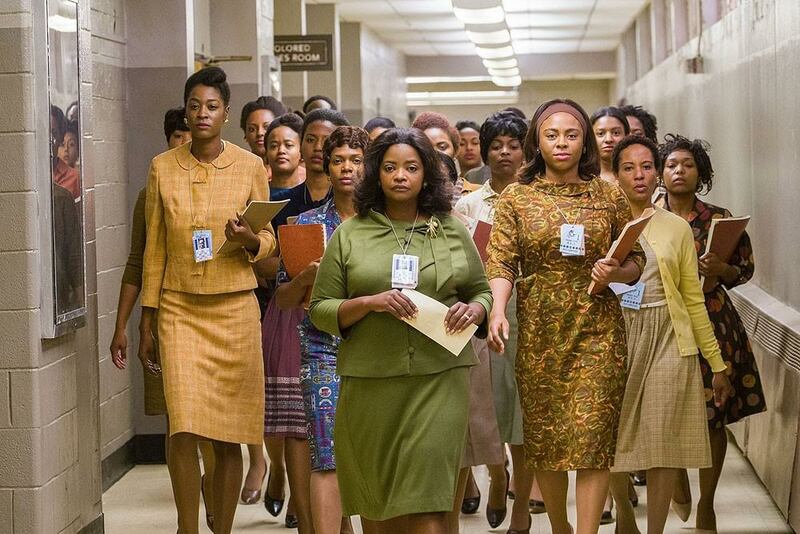 Give credit to those who made a statement with this story, but don’t try to tell me that Hidden Figures is anything more than the 100th best movie I’ve seen of what 2016 has to offer.